Edwina is the Founder and Director of CreateOps and the Exec Director of TechWomen NZtech. She is also the Deputy Chair of the Age Concern board. She has over 30 years of experience in the tech sector and has worked with large technology companies both locally and overseas and 21 of these years in the Education sector. She has been on NZQA panels for ICT curriculum design for both school and tertiary. 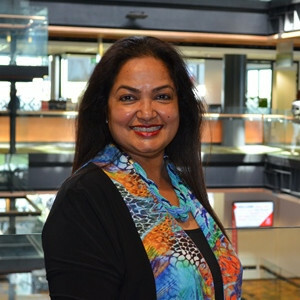 As Industry and Community Engagement Manager for Manukau Institute of Technology she received the Excellence award for designing and implementing the internship model and she and her team were placing over 400 students per year with industry. She is passionate about encouraging more women and youth to consider careers in technology and has initiated and started many programmes in partnership with industry such as Ytech 2K18, ShadowTech, Jhack, Experience IT in the Real World, Programming Challenge and Codecamp. Through her work she is very keen to bridge the gender gap and be inclusive by educating men and women to encourage and empower women to consider careers in technology. Edwina has worked for many years mainly in low decile school areas and with Maori and Pasifika youth by empowering, motivating and creating opportunities for them with industry. Her company CreateOps focuses on creating opportunities today for tomorrow and has developed programmes to help people take that next step in life. In 2017 she was recognised for her work with youth, industry and community and won the CIO100 – ICT Enabled Community Award.